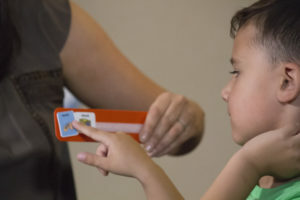 Apraxia of Speech including PROMPT Technique Click here to learn more..
Articulation and Phonological Disorders Click here to learn more.. Expressive and Receptive Language Disorders Click here to learn more..
Pragmatic Language Disorder Click here to learn more..
Cerebral Palsy Click here to learn more..
Autism Spectrum Disorder Click here to learn more..
Down syndrome Click here to learn more..
Developmental Delay Click here to learn more. Rare and Complex Communication Disorders Click here to learn more..
Functional Communication Click here to learn more..
Occupational Therapists also provide evaluation and treatment for: Sensory processing and integration, executive functioning, motor development, sensory diets, motor apraxia, bilateral motor coordination, dysgraphia, visual motor integration, movement and motor disorders, addressing skills of daily living including play, fine motor, self-care, and self-help skills. Additionally, we offer collaborative Alternative and Augmentative Communication (AAC) evaluations for children and young adults. 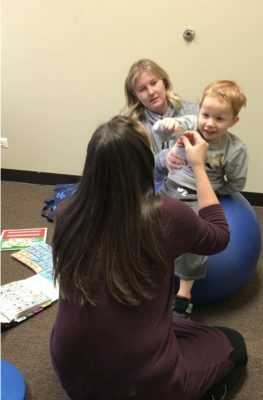 These evaluations are completed by an occupational therapist, assistive technology facilitator and speech-language pathologist to identify the strengths and needs of each child and to determine the most efficient AAC system.